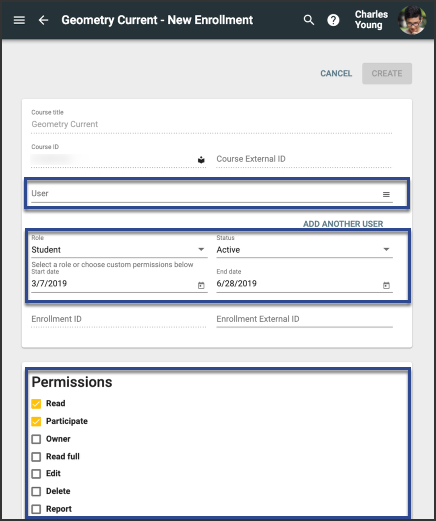 Open the Courses tool from the Main Menu, click the Course ID, and select Enrollments from the tabs bar. The user name or ID to search the current domain; to search all domains and/or browse through the users you have access to, click the list (browse) icon at the far right of the User field (required). If you want to add more than one user enrollment, click Add Another. Click Permission Details to see which permissions are granted by a selected role; if you want to create a custom role, check the boxes next to the permissions that you want included. Permissions granted here are applicable only within this course. 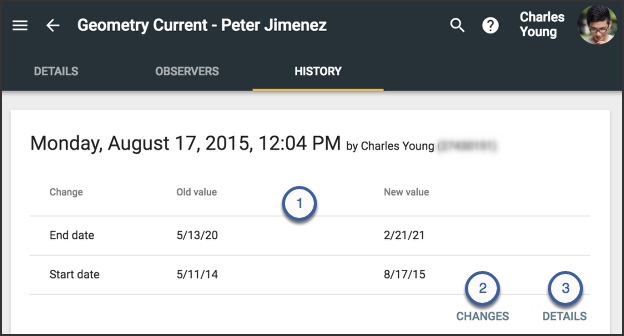 To see a user's enrollment details in the Users tool, click the User ID. 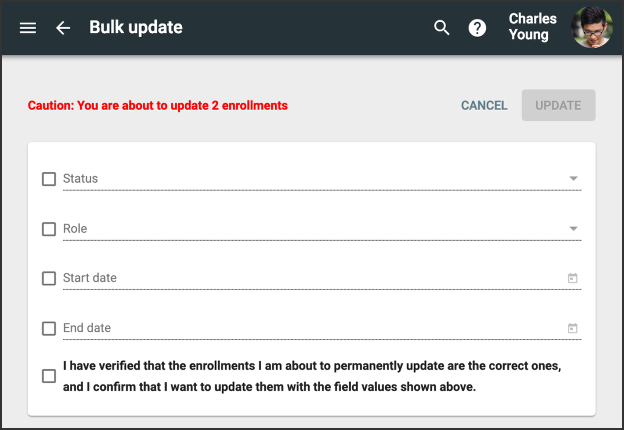 To move an enrollment, check its box and click Move. Hello, I'm trying to bulk import enrollments, but I would like to know how to set up a tab-delineated file. I'm not sure how the formatting is supposed to work so that the enrollment goes through. The article How do I batch import data using tab-delimited and comma-separated files? provides the information on how to format the various types of import files available. 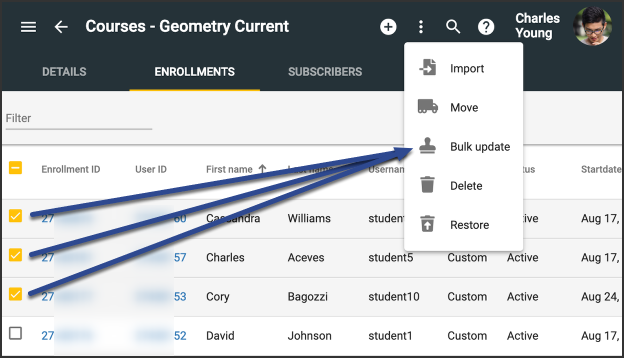 There is a section specifically for an enrollments import.